Stainless steel 321/321H seamless pipes are available in sizes ranging from 1/2 to 24 in. & lengths of 20 ft.
Metline is a full line service center and supplier of stainless steel 321/321H seamless pipes in India. Our stainless steel 321/321H seamless pipe processing capabilities include tapering, cutting, reaming, chamfering, grooving, machining and bending. 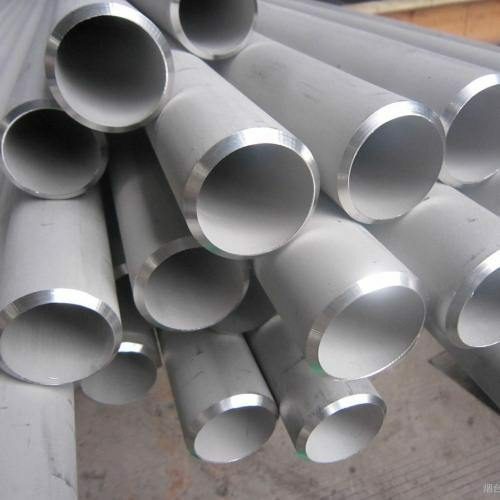 Due to their high corrosion resistance and top quality, our stainless steel 321/321H seamless pipes are widely supplied to many industries, such as electricity, petroleum, natural gas, chemicals, shipbuilding, heating, papermaking, metallurgy and so on. Metline is a leading manufacturer and supplier of SS 321/321H seamless pipes. Our seamless 321/321H pipes are manufactured in a variety of size and schedule or thicknesses. However, there is a restriction on the manufacturing of large diameter pipe. Generally, seamless 321/321H pipes are available in stock in sizes upto 16″. Seamless pipe, as the name suggests, is a pipe without a seam or a weld-joint. Seamless 321/321H stainless steel pipe is made from a solid round steel ‘billet’ which is heated and pushed or pulled over a form until the steel is shaped into a hollow pipe. 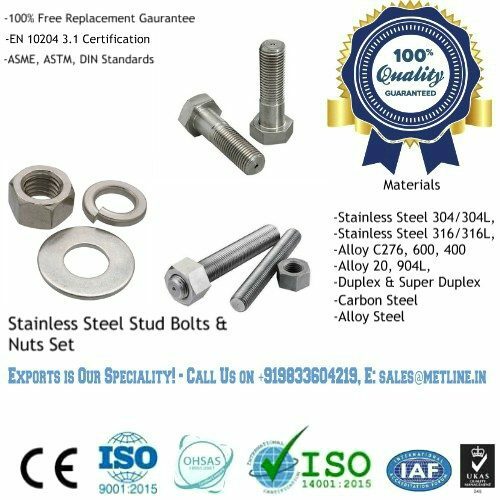 Stainless Steel 321 is a basic austenitic 18/8 steel (Grade 304) stabilised by Titanium (321) addition. SS 321 is used because they are not sensitive to intergranular corrosion after heating within the carbide precipitation range of 425-850°C. Stainless Steel 321 is the grade of choice for applications in the temperature range of up to about 900°C, combining high strength, resistance to scaling and phase stability with resistance to subsequent aqueous corrosion. SS 321H is a modification of SS 321 with a higher carbon content, to provide improved high temperature strength. 321H also shows resistance against acid corrosion in a variety of environments. 321 stainless steels show very little resistance against chlorine or sulfuric solutions at any given temperature. Stainless Steel 321 pipes find applications in a wide rage of products such as furnace components, superheater and afterburner parts, heat exchangers, compensators and expansion bellows, chemical and petrochemical piping systems. OD (NB Sizes) 1/2" to 72"
-Pressure Ratings: Class 150, Class 300, Class 400, Class 600, Class 900, Class1500, Class 2500, PN6, PN10, PN16, PN25, PN40, PN64 etc. (SOLJ), Socket-weld Flanges (SWRF), Screwed (Threaded) Flanges, Long weld neck Flanges (LWNRF), Spectacle Blind Flanges, Spacer & Blind Flanges, Ring Type Joint Flanges (RTJ), Reducing Flanges, Raised Face (RF) Flanges, Orifice Flanges, Large Diameter Flanges, Custom Flanges, Drawing Flanges, Forged Flanges, Plate Flanges, Flat Face Flanges, etc. Can you please quote us for 8″ SCH 40 TP321H pipes? We need around 13 MTRs of these pipes. advise the operating temperature range for these pipes.